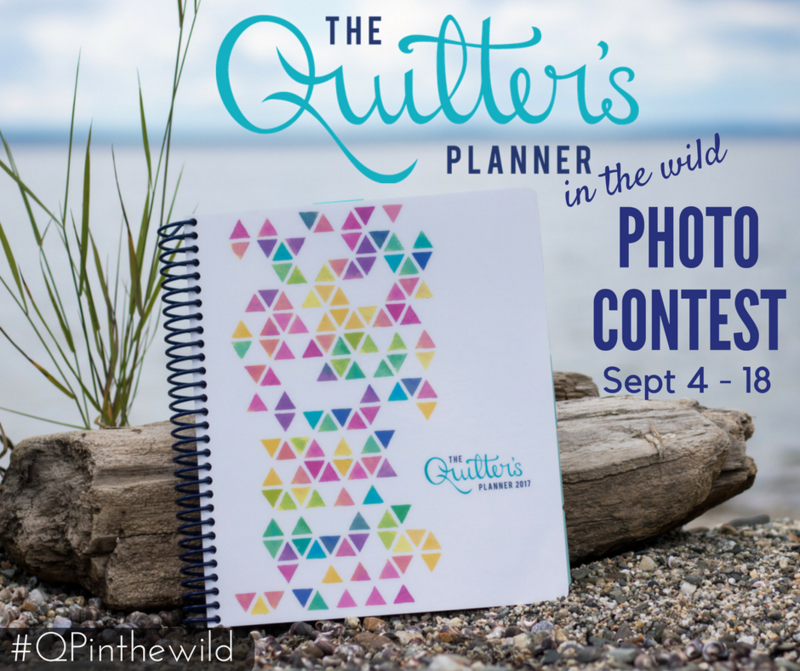 Today kicks off a fun photo contest on Instagram called Quilter’s Planner in the Wild. The challenge is to photograph your Quilter’s Planner or Quilter’s Planner Mini Companion out “in the wild” and post the photo to your Instagram account, tagging #QPinthewild and @thequiltersplanner. The challenge will run from today, September 4th, through September 21st. You may enter as many times as you like. The definition of “wild” is up to you and your lifestyle. You could photograph your planner on the beach as you take that one last summer hurrah, on a mountaintop after an invigorating hike, in the “wilds” of your favorite fabric store, at a soccer game where you sneak in some planning between watching your child play, or even among the flowers in your garden just outside your door. Let your imagination run wild, and most of all HAVE FUN!! Share a photo on Instagram of your planner out in the wild– be creative! The best photos will win! Be sure your Instagram account is set to public so that we can see your entries! A winner will be chosen each week, and a grand prize winner will be chosen at the end of the challenge. 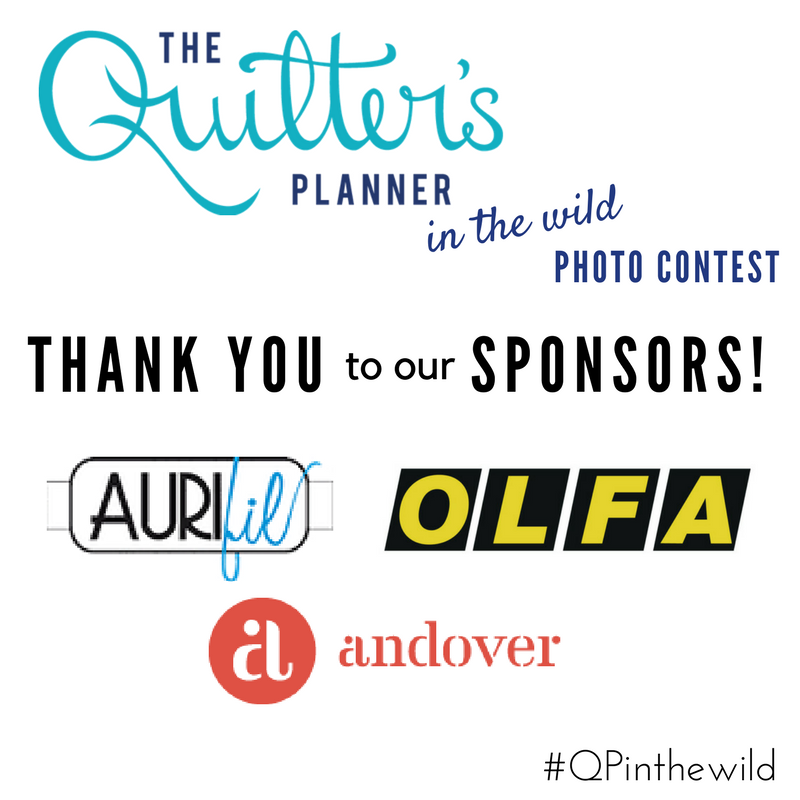 We are grateful to our sponsors Aurifil Thread, Andover Fabrics, and OLFA® for sponsoring this challenge, and have some great prizes for each of the winners. Anyone in the world can participate, but prizes may be replaced by a gift certificate, depending on the winner’s location. Must be over 18 to enter. The winner for the first week will receive a spool set of Karen Lewis’s thread collection from Aurifil, an OLFA® splash 45mm rotary cutter, and a Quilter’s Planner mini companion. The winner for the second week will receive a bundle of Alison Glass fabric FQ from Andover Fabrics, an OLFA® splash 45mm rotary cutter, and a Quilter’s Planner mini companion. The Grand Prize winner will receive a large spool set of Sariella’s thread collection from Aurifil thread, a large bundle of Alison Glass fabrics from Andover Fabrics, an OLFA® splash 45mm rotary cutter, 45mm endurance rotary blade, and an OLFA® 12″x17″ folding cutting mat, as well as a 2018 Quilter’s Planner. International winners may receive a gift certificate for their prize in some cases. We are looking forward to seeing where YOU take your Quilter’s Planner, and encourage you to venture out on one last adventure before the summer ends. Have fun, and spread the word! Happy adventuring!